When employees first began using corporate email and content management systems to communicate and share their ideas, little did IT teams know what they had in store. In “store” being the operative word. Such systems like Microsoft Exchange and Microsoft SharePoint would soon take exponentially larger and larger bites out of the storage available on a whole range of corporate servers, file shares and, even, enterprise storage networks. IT teams soon had a real mess on their hands. Frequent requisition requests for new storage capacity weren’t usually greeted well by budget owners. Then, there was the on-going time required from IT to help “discover” key content of older emails or files--in keeping with various compliance, legal or audit requirements. For highly regulated industries, like those in Life Science or Financial Services, the need to effectively track, preserve and discover data became even more critical. These storage and discovery challenges became apparent early on, especially for large organizations. Take the City of Orlando back in the early 2000s. According to one account by John Matelski, the former acting deputy Chief Information Officer for the city, doing this type of email discovery was “a storage challenge,” to put it mildly. Since that time, companies have tried to curtail the volume of data stored in email, for instance, by imposing policies like mailbox size quotas. According to a post by Osterman Research, however, while such practices might succeed in capping storage capacity needed, they also spawn other unhealthy problems. These include users who now send sometimes critical corporate email records to their local .PST files, “personally managed cloud repositories,” or even print-outs. Managing Email and SharePoint Data: There Has to Be a Better Way. . .
Storing email and SharePoint data for active use is one thing but then, there’s the mounting task to protect it. As tape based backup has turned to nearline solutions (including local disk and backup servers and cloud backups), the cost to maintain and protect these mushrooming systems has begun to hit a little too close to home. There’s also the aspect of migrating the data off one system and onto another. This is no easy task when you’re talking about burgeoning and disparate data stores. Last, but not least, is the act of trying to locate specific, sometime older email or documents after employees may have moved on. Dark data is the new term astronomically-minded IT folks use to describe the mass of unstructured and semi-structured files that could contain everything from orphaned or stale data to confidential or important digital records. The truth is, even highly regulated organizations, like pharmaceutical companies, may not always know what, precisely, is lurking within their file shares, SharePoint repositories or email systems. Archiving this data seems like a natural step, but how best to go about it? There are many questions about how best to proceed. Which tools do you use? How much will it cost? How do you even approach migrating such complex systems with minimal user disruption or headaches? Then there’s the “P” word - policy, what types of document retention policies do you need to develop for a successful archive that meets everyone’s needs? We discuss answers to some of these questions in our IT Survival Guide to Data Governance. While aimed at Life Science organizations, the information in this guide applies to most companies looking to get a handle on their dark data repositories. In the guide, we describe what to look for with some of the tools needed to help organizations mature from their “backup as usual” to a more efficient, archiving and governance model. 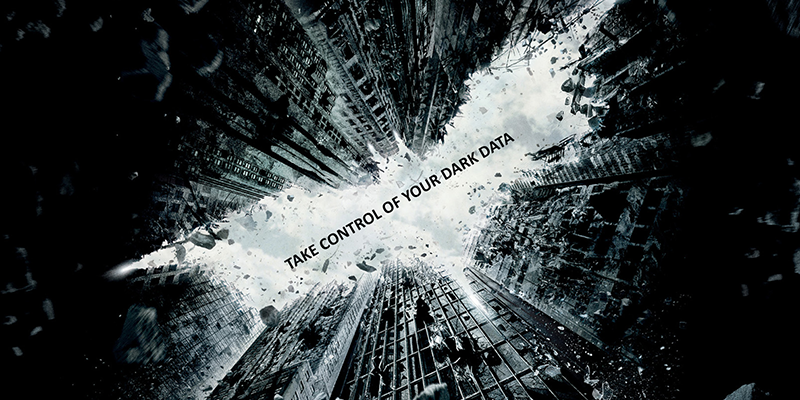 Click here to download the IT Survival Guide for Data Governance. Ned Fairweather is a Data Protection Manager at Daymark Solutions and a 15 year IT industry veteran. 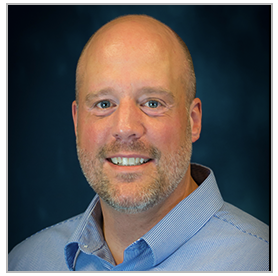 Ned has spent his career working with clients across verticals including Pharmaceuticals, Publishing, Health Care, and Financial specializing in the design and implementation of Data Protection Solutions from multiple vendors. Ned holds numerous advanced technical certifications from EMC, Oracle, Quantum, and Veritas.